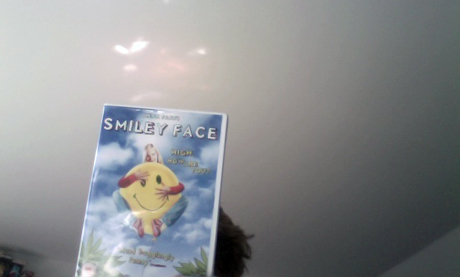 I was given a copy of Smiley Face on DVD the other day. Forgive me if this is old news, but I’d never heard of it before and as much as I love Anna Faris and everything she’s ever done, stoner comedy is hardly the most reliable genre going. As it turns out, Smiley Face is one of the funniest films I’ve ever seen. I would sincerely advise you to pick up a copy (for as little as £1.29 on Amazon used and new). Alternatively, feel free to send me a million ‘GOD! CATCH UP! SMILEY FACE IS SOOOO 2007!’ messages on Twitter if you feel so inclined. In other news: HeyUGuys have two pairs of tickets for Ultra Culture Cinema #02: Trash Humpers to give away. You can win them here.